Telediam – check out the new model diamond wire saw at the Verona Show! La Rossa – check out at show – the new mixed-texture surfacing machine! 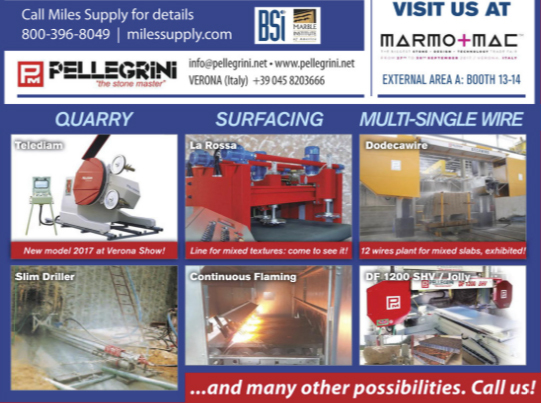 Dodecawire – a 12 wire saw for mixed slabs – see it at the Show! 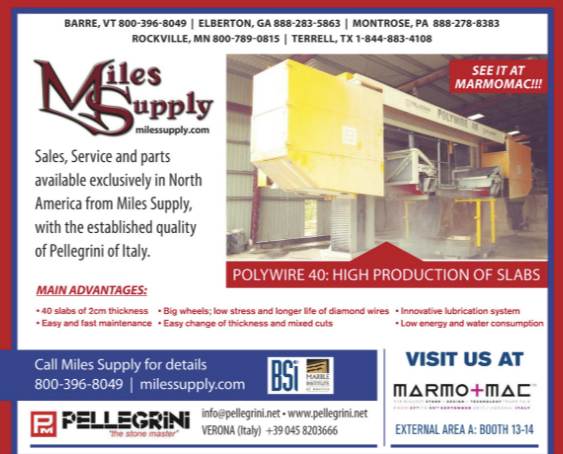 Miles Supply sells the Pellegrini equipment, the parts, and offers services in North America – we are the local source to the quality you want from Italian stone expertise and engineering.